Mega Sale! 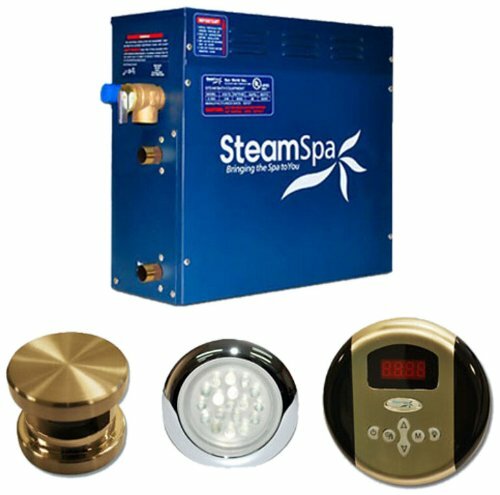 Save 24% on the Steam Spa IN450BNC Indulgence Complete Package with 4.5kW Steam Generator, Brushed Nickel by Steam Spa at The Synthesizer. MPN: IN450BNC. Hurry! Limited time offer. Offer valid only while supplies last. With this advanced package you will get everything you need and more to begin experiencing a deep relaxing steam sauna right in your very home. With this advanced package you will get everything you need and more to begin experiencing a deep relaxing steam sauna right in your very home. Included with this package is the aroma steam head for bathing in your favorite fragrance and a white LED lighting system that is fully controlled and adjustable with the included control panel making for a perfect sauna experience. And a perfect steam sauna experience is exactly what we had in mind with Steam Spa's Steam Generators. Easy to install and even easier to operate these steam generators produce a consistent flow of soft and soothing steam thanks to the cleverly designed dual tank technology while minimizing any distracting operational noises. Compact in size and design Steam Spa's generators are suited for use with any bath or shower room with plenty of sizes and accessory options to make sure there is a perfect setup to meet your needs. As easy to install and operate as our generators already are, the featured Auto Drain system takes care of the maintenance by purging the generator of any excess water/minerals that would later contribute to issues down the line. All in all you get a safe, quite, reliable, luxurious steam sauna experience with our compact powerhouse of a steam generator.